HP manufacturer regularly expands its range with new products. Last June, it took advantage of COMPUTEX show to present tablet Pro 612 x2 12.5 inch. It is notably composed of an Intel Core i3 or i5 processor, up to 8GB RAM, up to 256GB SSD and a 5-megapixel camera sensor. A fingerprint reader and a 3G or 4G modem are also available as an option. 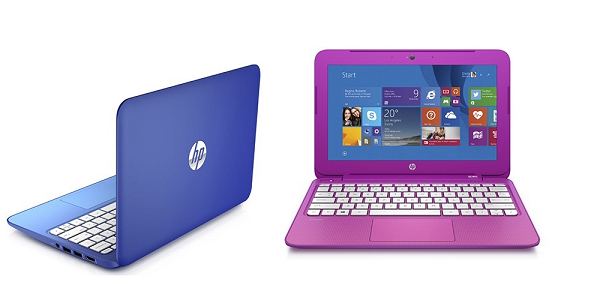 HP introduces new models in its range Stream. Besides netbooks, 11.6 and 13.3 inches, the manufacturer has unveiled two new tablets. On Windows, they are on the segment of entry level. HP unveiled little information. As their names suggest, tablets Stream 7 and 8 are respectively 7 and 8 inches. They will be equipped with HD screen resolution 1280 x 800 pixels. Also, they will be equipped with an Intel Atom Z3735G processor, 1GB RAM and a storage space of 16GB. These tablets will have no microSD slot or HDMI port, but will be equipped with microUSB ports and stereo speakers. HP Stream 7 tablets will be sold at $ 99 and Stream 8 for $ 149. A version of that model will be 4G enabled and will have 200MB each month. Beyond the low price, HP put on the same services offered to its new netbooks Stream, namely: 1 year subscription to Office 365 staff, storage space of 1 TB each month on OneDrive and 60 minutes of calls via Skype.